Sell your products globally with Stripe worldwide official module. 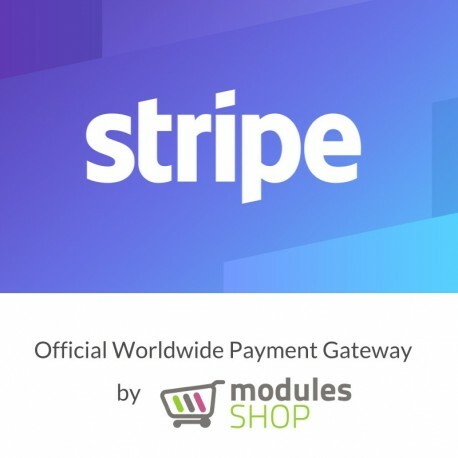 Our module works worldwide (most of European countries, USA, Canada, Australia, China, Japan and other countries, check your country at https://stripe.com/global). 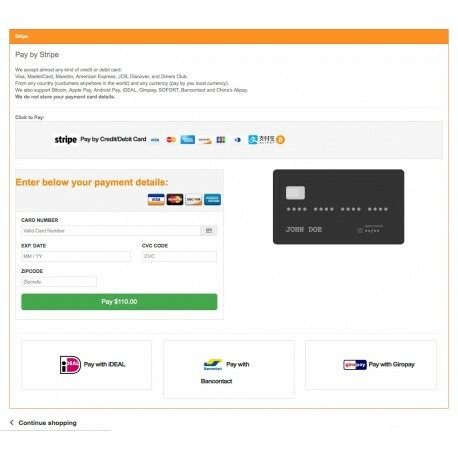 Stripe is a service which provides payment support for your website. Your customers can use Stripe in 135+ countries and in almost any currency. You can sell worldwide without any problems. It supports 3D Secure - extra protection Secure Codes. The module allows to make a payment without redirection to other sites - this way it increases conversion rate. Compatibility with PrestaShop 1.5.0.17 - 1.7.0.3. You will have to ask your server admin to install it on your server for you. Important note: Always use binary mode when uploading files to your server using FTP. If you need other encoder or compatibility with different Prestashop or PHP version, or if you have any other questions please contact us. Be sure to download the correct version of Stripe Module module for the version of PHP and Loader on your website. One licence for a single domain/shop (one IP, one domain). Maestro cards require 3D Secure. Some banks also require 3D Secure to be used. Our 3D Secure integration provides an easy way to detect these banks and trigger 3D Secure accordingly. Sofort is asynchronous and the payment status becomes pending as soon as the customer returns to your store after a successful payment.